These beautiful Hawaiian print Dresses have about 7" smocked bodice wrap around for an easy fit. *One size fit women size 6, 8, 10, 12 and 14. 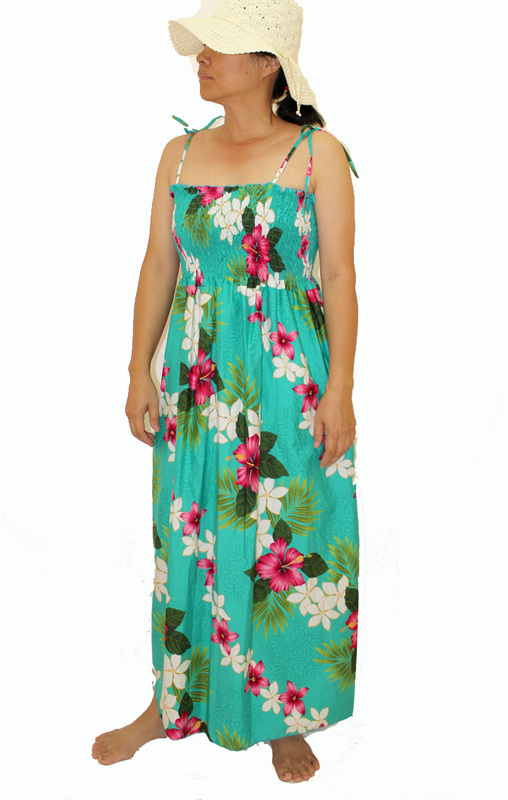 *This long Hawaiian dresses are made of 100% cotton in Hawaii. The material are not pre shrunk. We find they will shrink about 1/2" from side to side and 1/2" - 1" from top to bottom after the first wash for the 100% cotton fabric. The Lady model on our web site is 5' 4" tall weight 127 LB.